The Monterey Bay Aquarium turns 25 today. The aquarium ha welcomed over 46 million visitors in their 25 years of operation. They have also distributed over 32 million Seafood Watch guides in the ten years since it was created. 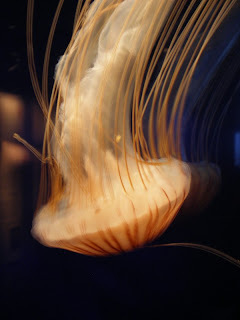 The aquarium is routinely ranked as the No. 1 aquarium in the country. The aquarium website features an interactive timeline of major milestones from inspiration, to construction to the present day. 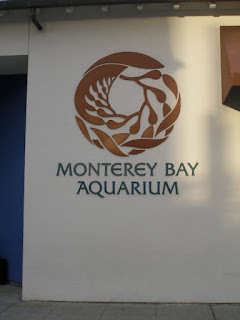 So wish the Monterey Bay Aquarium a Happy 25th Birthday, and, if you are a Monterey County resident, you can come and celebrate free of charge (you'll just need to bring proof of residence.) The aquarium will also have a special feeding at the Kelp Forest exhibit at 11:30 a.m. According to the aquarium's Sea Notes blog: "rumor has it, the fish are getting a special birthday cake, and there’s definitely human cake for the first 2,500 guests. We hope you can join us, in person or online."